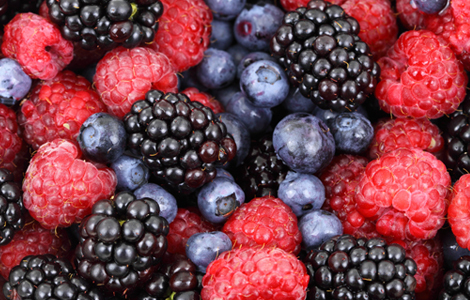 Colorful foods aren’t just nice to look at, they offer a lot of benefits to your health! They can lower the risk of heart disease, stroke, cancer, urinary tract infections, and memory loss. These foods contain potassium, vitamins A and C, and folate. They are known for anti-inflammatory properties, helping to protect against cell damage, and keeping the heart, blood, joint, and immune systems healthy. Foods include tomatoes, pomegranates, berries, watermelon, cabbage, beets, eggplant, grapes, raisins, cherries, kidney beans, and red pepper. 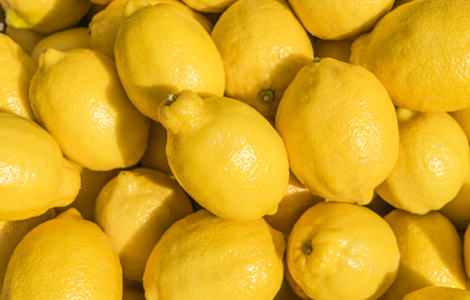 They can improve immune function and lower the risk of heart disease, vision problems and cancer. These foods contain folate, potassium, bromium, vitamins A and C, iron, and calcium. 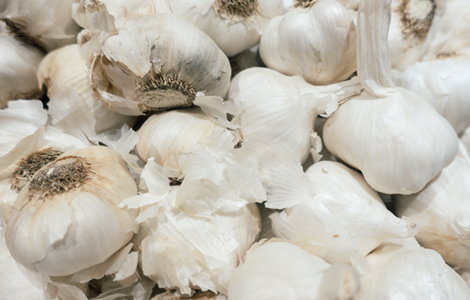 They are known for flushing out toxins and keeping the eyes, skin, teeth, and bones healthy. Try carrots, lemons, oranges, corn, peaches, nectarines, mango, squash, pineapple, bell pepper, cantaloupe, and sweet potatoes. They can lower the risk of cancer and vision problems. These foods contain folate and vitamins A, C, and K.
They are known for fighting free radicals, helping prevent blood clots, and regulating blood sugar. 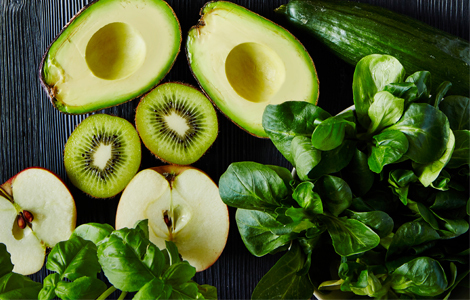 Foods include leafy greens like kale, spinach and arugula, green apples, limes, kiwi, avocado, cucumber, asparagus, green beans, grapes, and broccoli. They can lower the risk for stroke, high blood pressure, high cholesterol, heart disease, and cancers like colorectal cancer. These foods contain potassium, folate, niacin, riboflavin, and vitamin C.
They are known for providing essential dietary fiber and supporting the immune and circulatory systems. Try pears, bananas, cauliflower, mushrooms, ginger, dates, potatoes, garlic, onions, black eyed peas, and white nectarines. According to the U.S. Department of Agriculture, we should all try to eat five to nine servings of fruits and vegetables per day in a variety of colors. So go ahead and fill your plate with a rainbow of fruits and veggies! Choose the language you would like to browser our website in.